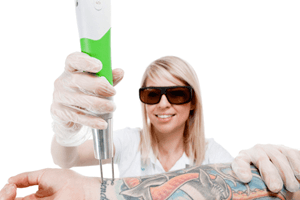 Starting laser tattoo removal treatments isn’t a decision that should be taken lightly. 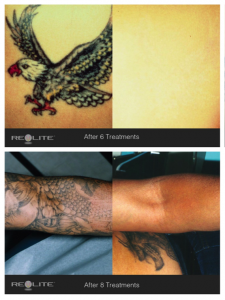 It requires a lot of thought, commitment and educated choices for what will ultimately result in a smooth and safe tattoo removal process. For most, choosing which clinic to trust to take them on this journey is also not always easy. Laser technology, education and experience of each laser specialist should be at the forefront of everyone’s research. Along with this; recommendations, positive reviews, success stories and the general feel once inside the clinic all play a part in the decision making process. However, something else is a focus point well before these factors are looked into – the Before and After photos. Before and After photos are essentially used as a guide for clients who would like to see the results each clinic is capable of. These photos are something each clinic should be proud of showing new clients in order to build trust and confidence in helping them make their decision. 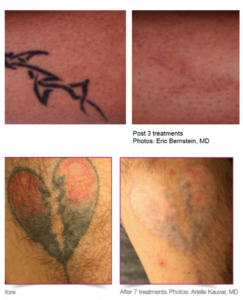 Each and every laser tattoo removal manufacturer uses ‘stock’ photos to show the effectiveness of their laser system. Once our Italian Quanta machine was ordered, we were also sent their ‘stock’ photos! When a laser is purchased, these photos are sent to the buyer who can then reuse the photos on their website or other media publications. These photos do reflect the capability of the laser, however it is important to understand that they do not reflect the capability of the operator. Not all laser operators will possess the same amount of training or experience required to successfully and safely gain these results. 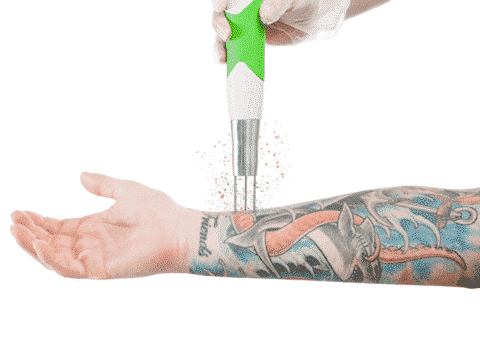 Now the craze for tattooing is decreasing and the latest trends for tattoo removal among youngsters is increasing at a fast rate that is why it is important to get it removed the safer way is a must. If we have a license to drive a car we are granted the ability to use this skill to drive on the road. However without training, much needed practice and experience we can’t expect to hop in a Formula One racecar and win the world championships. Without the right car, the driver doesn’t stand a chance to win the race, without the experienced driver the car cannot achieve what it was designed to do. From the beginning, Think Again Laser Clinic Sydney have decided against using our Quanta Q-Plus C before and after photos. These photos for us as a business were a good indication of the effectiveness of the laser system, however for our clients they do not show what our laser specialists have specifically achieved. 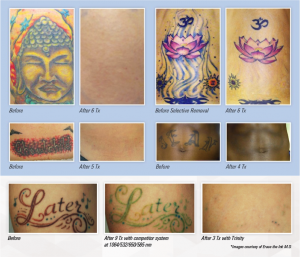 Are your before and after photos your own or have they been provided by your laser manufacturer? Why are you only using ‘stock’ manufactures photos and not your own? How do these photos relate to my tattoo to be removed? Can I see some before and after results that your business has specifically achieved? Can I see some results of a similar tattoo to mine? At Think Again we have set the bar in the industry with our before and after results. Many of our competitors who have been established for years still do not use their own photos and as a potential client, you must ask why? 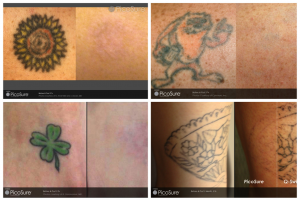 All of our photos are a result of our dedication to the laser tattoo removal industry. 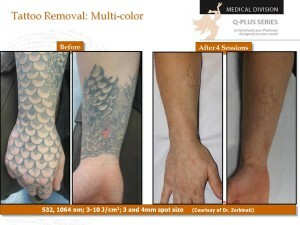 Our experience, technique and drive to best Sydney’s #1 tattoo removal clinic has allowed us to provide each client industry leading results. If a clinic does not display their own photos or only displays photos of incomplete removals, one can only assume they are inexperienced. 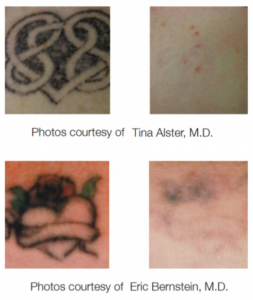 Below are photos you may be shown from various laser systems used for tattoo removal. These photos can be found on each of the laser manufactures websites. We offer a free comprehensive consultation! Begin Treatments Now, Pay Later!